First, you’ve got Thomas, a well-respected neurosurgeon, who has taken to spending his nights having long conversations with his dead mother. Then there’s Jottie, who lives for the brief and precious moments she spends with her long-dead love, Vaughan. Finally, there’s Harriet Chance, who frequently hangs out with her recently deceased husband Bernard. The books aren’t all about talking to dead people. But it is an odd coincidence that all three of the books I read this week share that common characteristic (especially considering how different they are from one another). Why I decided to read it: This book actually popped up as a “You May Also Like” book during one of my searches on my library’s website (yay, library!). I don’t know how I missed this one last year. It was named one of the best books of 2014 by The Boston Globe, Kirkus Reviews, and The Millions (among others). What it’s about: Broadly speaking, this book is about the lives of an Indian-American family (father, mother, son, daughter). The book spans decades and continents, from one of their visits back to the father’s family compound in Salem, India, in 1979 to their lives in Albuquerque and Seattle in 1998. This family saga is about drawing on the powers of love and hope to get through and ultimately overcome unspeakable tragedies and hardships. The latest challenge that the family must face: Thomas, the patriarch and a celebrated neurosurgeon, has been spending sleepless nights on the porch, carrying on lengthy and in-depth conversations with his mother. The problem: his mother has been dead for years. This is the best book I’ve read so far this year, and I’m kind of shocked that it didn’t get more hype (or, for that matter, more awards) last year. It’s a debut novel, so I don’t think it was widely read, which is a shame. It’s a damn good book. The book is largely about how tragic events stay with and continue to affect people years after they occur. In retrospect, it’s pretty amazing to me that the overall tenor of the book is not super depressing . . . because the book covers a lot of really sad and terrible events. But the tone of the book is very hopeful. Jacob deftly shows how different personalities react to the same event (with acceptance, stubborn denial, purposeful resilience, willful ignorance, anger, an outpouring of affection, caretaking, etc. ), and how families absorb and accept and shape themselves around those differing reactions. “How’s the weather?” Kamala asked. Despite its length, the book never seems long-winded or slow. In fact, if anything, the conclusion seems slightly rushed. The circuitous storyline, despite jumping from decade to decade and event to event, wraps up powerfully. I really enjoyed this book. You should add it to your TBR list immediately. 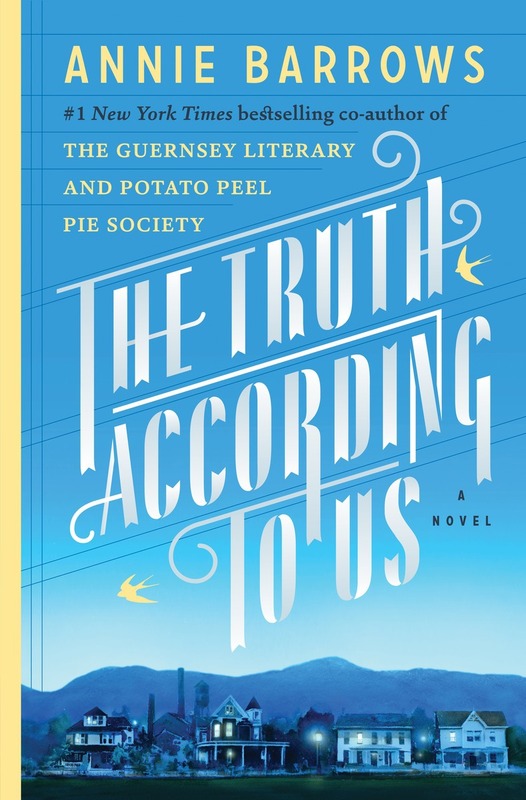 Why I read it: This book is written by one of the co-authors of the epistolary novel The Guernsey Literary and Potato Peel Pie Society, which I thought was enjoyable, readable, creative, and cute. And it was an Indie Next List pick and a LibraryReads list selection for June. What it’s about: Bear with me on this, because it’s not going to sound super interesting. The book is set in the small town of Macedonia, West Virginia, in 1938. Layla Beck is a beautiful and spoiled senator’s daughter who gets cut off after she refuses to marry the guy her parents like. Her dad gets his brother to give her a job through the Federal Writers’ Project, and she is tasked with writing a thrilling book entitled The History of Macedonia. This new job lands Layla in the Romeyn family home as a boarder. The once-great Romeyns have fallen from grace. Years ago, Papa Romeyn was the president of the local mill and beloved by the entire town. But the five grown kids (Felix, Jottie, twins Minerva and Mae, and Emmett) haven’t fared so well. Felix is a divorced bootlegger known for his charm and penchant for shenanigans. He comes and goes from Macedonia with little explanation as to his whereabouts. At 35, Jottie is an old maid who still pines for her first love (Felix’s best friend), Vaughan, who passed away in a fire many years ago. She lives in the family home (where Felix stays when he’s in town) and raises Felix’s kids, Bird and Willa. Minerva and Mae are both married but live during the week in the family home because they can’t stand to be apart. And Emmett is a sweet schoolteacher. Willa is twelve years old that summer, and she’s starting to grow up. She’s beginning to realize that the adults around her treat her like a kid—hiding things from her, telling half-truths, and avoiding her questions. She’s getting curious about all the things she doesn’t know. Willa and Layla both spend the summer searching for answers about the history of Macedonia. Layla’s search—focused on the town itself—involves interviews, visits to prominent families, seeing the sites, and reviewing old ledgers, newspaper clippings, and memorabilia. Willa’s search—focused on her family and its questionable past—is a little less conventional. She becomes an expert sneak, eavesdropper, and trespasser. Both of their searches dredge up questions about the truth surrounding certain historic events in Macedonia, including the tragic fire in which Vaughan was killed. Can they recognize the truth when they discover it? I was wavering between a 3.5 and a 4 on this one, but I decided to be generous. My generosity stems mainly from my surprise at how much I enjoyed this book. The setting (1930s West Virginia). The book’s style and structure aren’t very appealing, either. In fact, it’s kind of a mess. There are epistolary chapters. There are some chapters (and some parts of chapters) that are told by Willa in first person, while the rest of the book is told in third person. There are flashbacks written in italics. It’s a big hodgepodge. But, surprisingly, it’s a hodgepodge that works. The storytelling is fast-paced and, despite the book’s length, I breezed through it. There are lots of distinct, authentic voices and some great dialogue. In fact, some of the voices called to mind my paternal grandmother, who was from Louisville, Kentucky, and was about Layla’s age in 1938. I enjoyed the setting MUCH more than I expected to. And I loved the fun, quirky characters (there are approximately one billion), especially the smart, sassy women. The climax is not particularly surprising, but it’s well executed. And the book’s message (about the nature of truth) is well delivered (that is to say: not too cheesy). Why I read it: It’s a LibraryReads List selection for September and sounded fun and light. Reason enough for me! This book is written in part like an episode of This Is Your Life. About half of the chapters jump back in time, telling the highlights (and lowlights) in the life of the titular Harriet Chance in second person. The book begins on November 4, 1936 (“Harriet at Zero”), the day of her birth, and follows Harriet through jobs, a marriage to Bernard, and the arrival of her two kids, Skipper and Caroline. Meanwhile, in the present (told in third person), Harriet is seventy-eight. Bernard died recently, but he is not gone from Harriet’s life. He frequently visits Harriet, sharing meals with her, leaving out WD-40 to remind her to fix the squeaking dishwasher, and making amends for mistakes he made during his life. Out of the blue one day, Harriet finds out that Bernard won an Alaskan cruise at a silent auction about a year before his death and never claimed it. It is about to expire. Harriet decides that she will take her best friend, Mildred, on the cruise to sprinkle some of Bernard’s ashes on glaciers. When Mildred backs out at the last minute, Harriet decides to go on the cruise by herself. 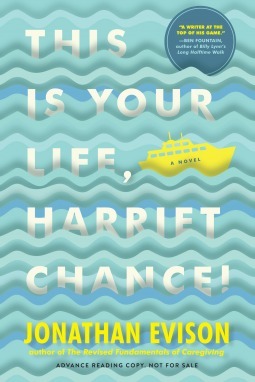 On the first day of the cruise, Harriet receives some news that reveals that her life as she knew it was a lie. And the surprises are just beginning. But what begins as merely slightly obnoxious becomes awkward and uncomfortable as the tone of the historical chapters becomes weightier. The book attempts to tackle some pretty serious subject matter (being more specific would be too spoiler-y, so I will refrain), and the gimmicky story-telling gets in the way. The messiness comes off as a little too tidy, the resolutions seem a little too easy, and the self-realizations are a little too quaint. 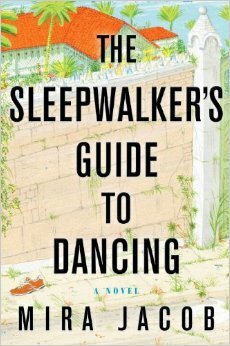 DISCLAIMER: I received a free copy of this book from the publisher, Algonquin Books, through NetGalley in exchange for an honest review. This entry was posted in Rating: 2.5/5, Rating: 4.5/5, Rating: 4/5 and tagged Annie Barrows, Book review, Book Reviews, Books, Jonathan Evison, Mira Jacob, The Sleepwalker's Guide to Dancing, The Truth According to Us, This Is Your Life Harriet Chance. Bookmark the permalink. Two of your favored books I hadn’t heard of, but they sound great!!! I’ll check them out. That last one I was curious about; I’ve heard good things. I’m still on the fence, though. Thank you for the great overviews. Yay! Glad I was able to introduce you to some good books. I look forward to hearing your thoughts once you’ve read them! !